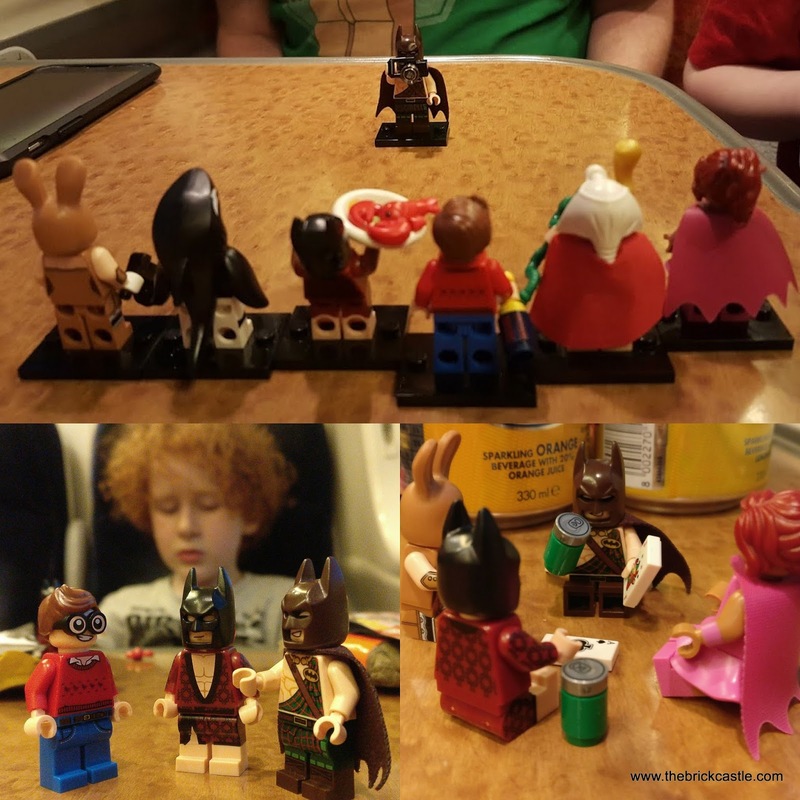 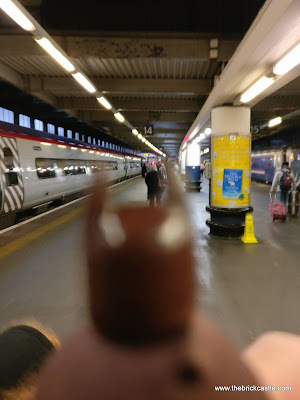 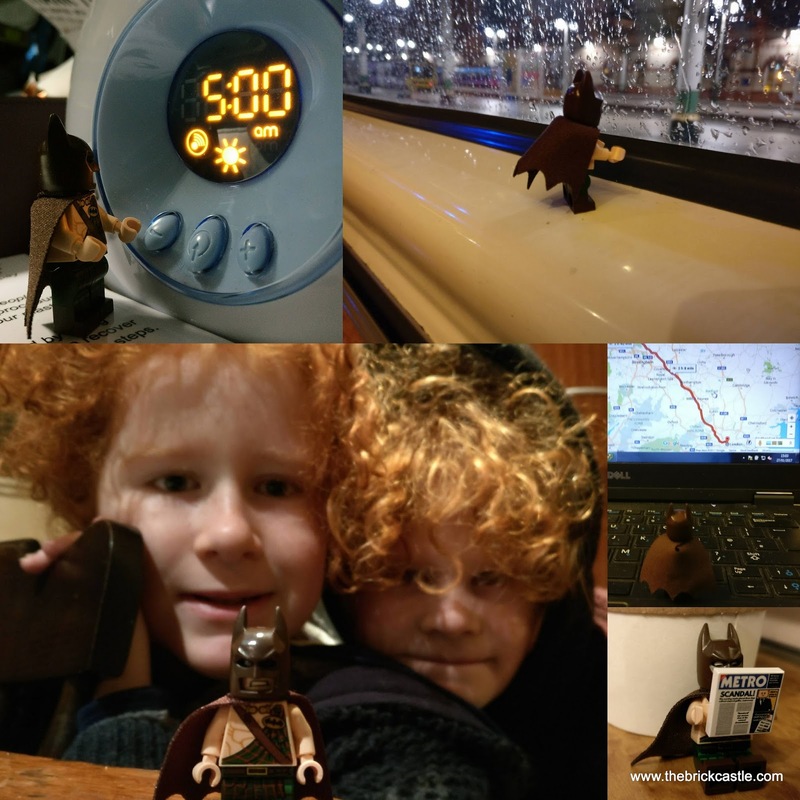 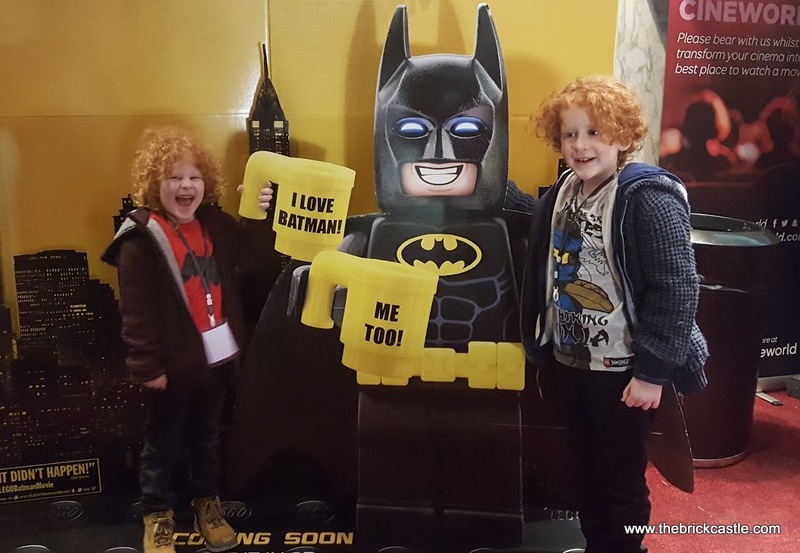 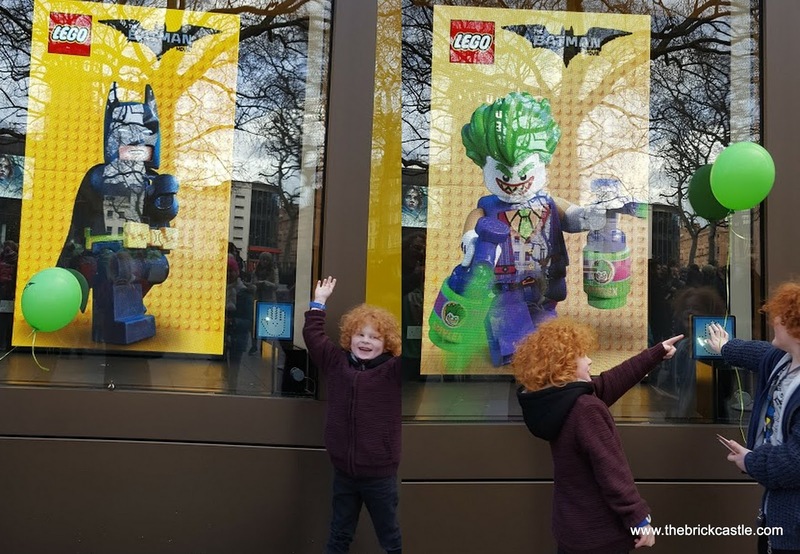 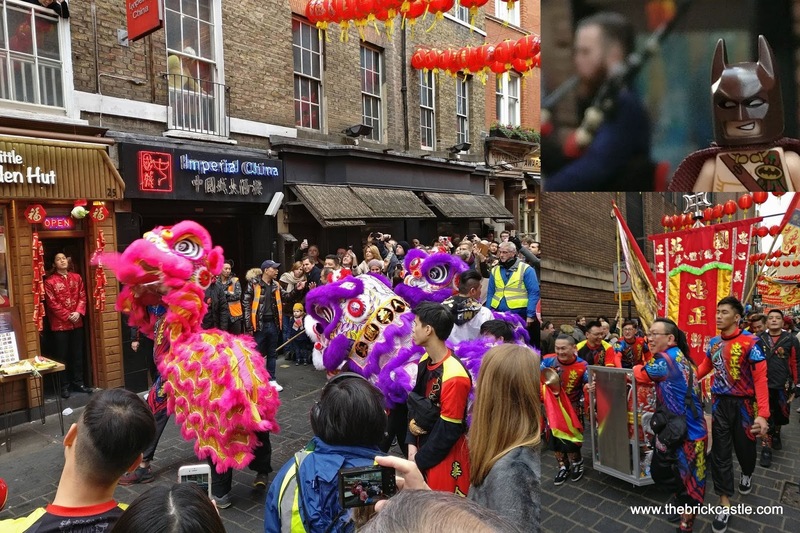 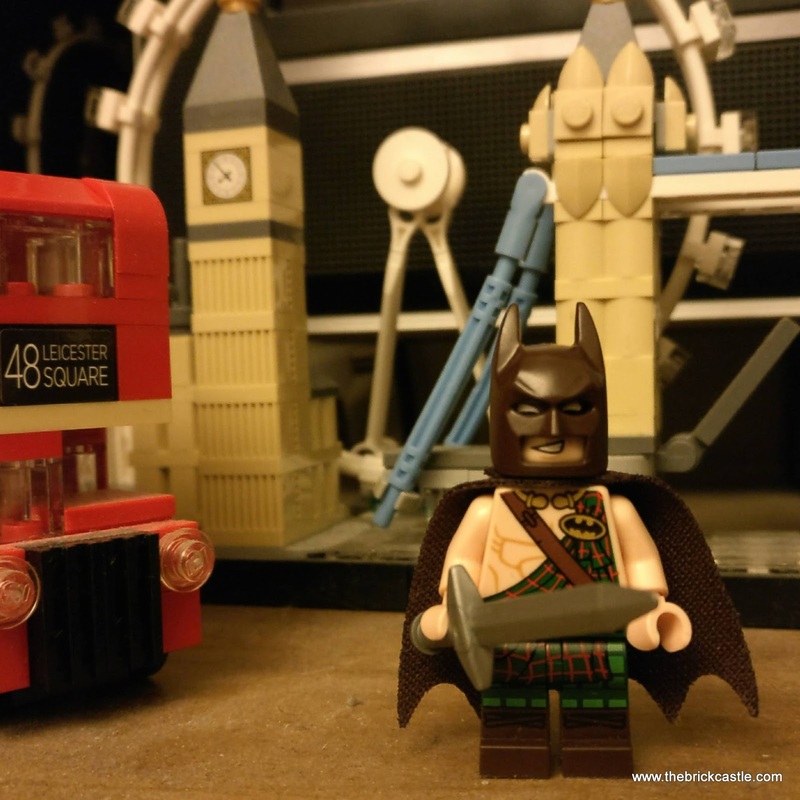 The Brick Castle: A day in London with the LEGO Batman Movie and Tartan Batman. 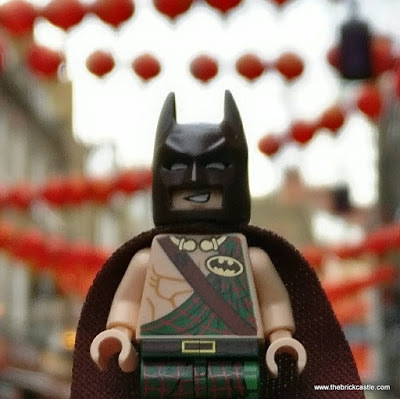 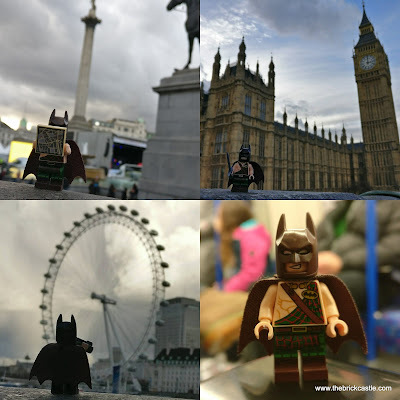 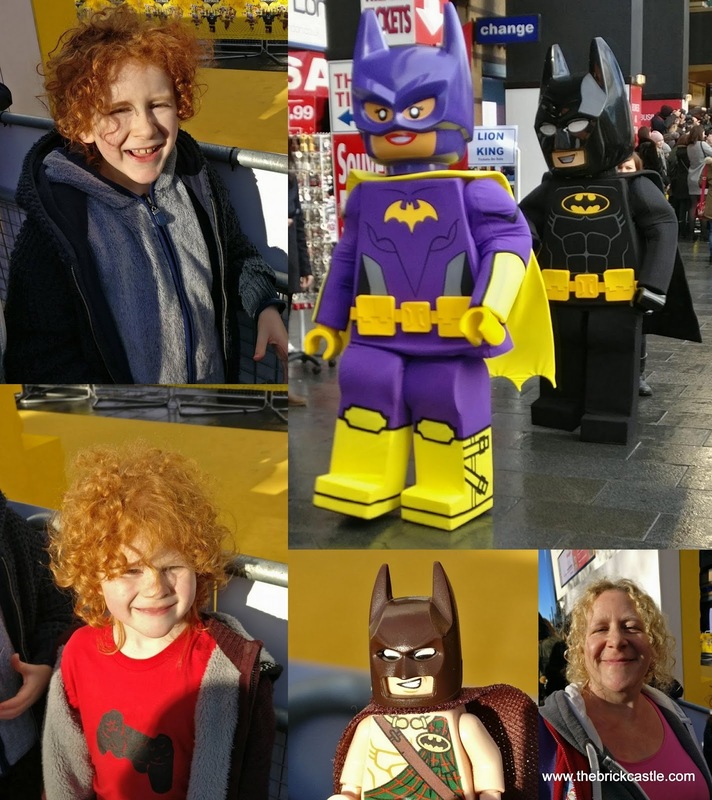 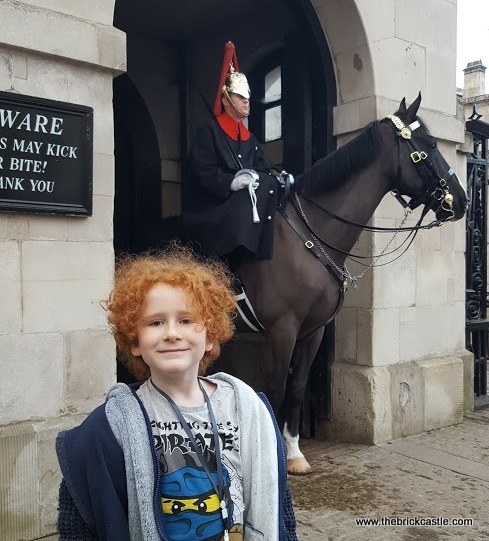 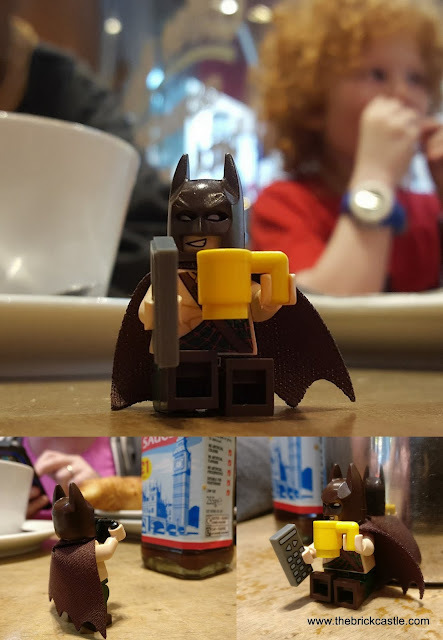 A day in London with the LEGO Batman Movie and Tartan Batman. 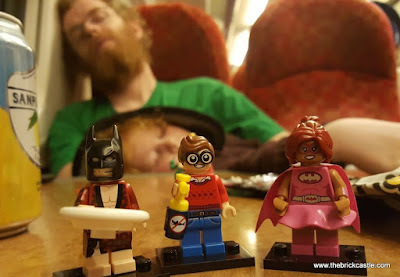 We were up at 4.45am - and out of the house by 5.20am to catch our train...it wasn't the best part of the day, they lied. 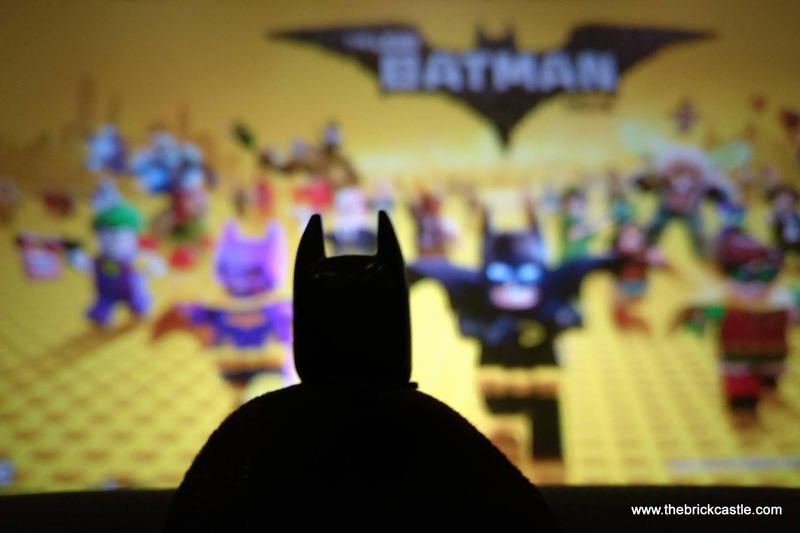 If you want to make a character for yourself at home - try the LEGO Batman 'sigfig' Creator. The inside of the cinema was awesome. 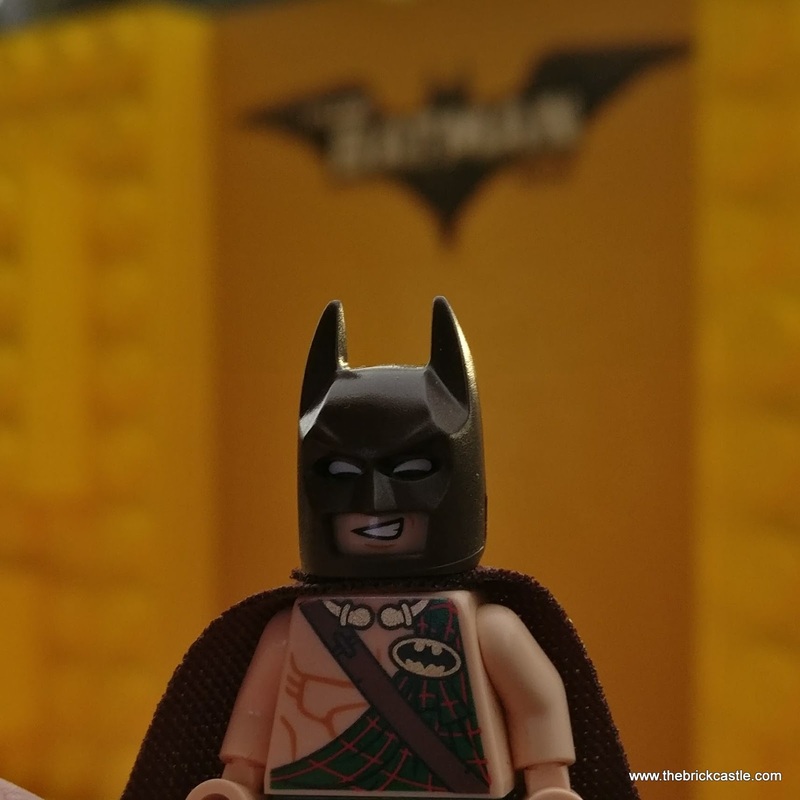 They really had turned the whole place into a LEGO Batcave of sorts. 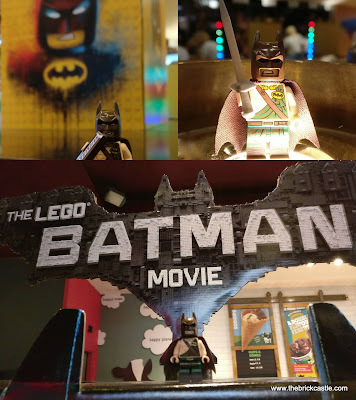 Batman was everywhere. 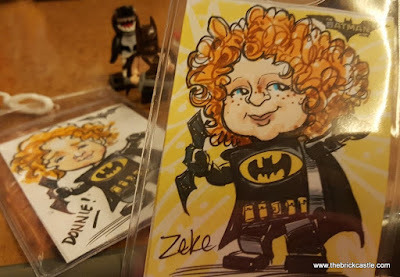 The best part of the fun arranged for the children before the movie has to be the amazing row of artists sitting patiently drawing wriggling children. These are real treasures... thank you. The movie was awesome - we all thoroughly enjoyed it, and my LEGO Batman Movie review will be live at the weekend. 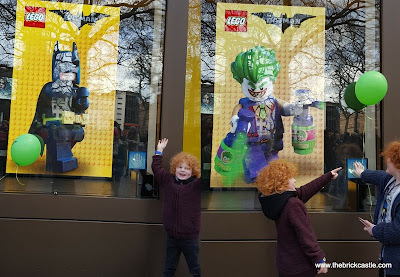 We had a little time to play in London, so we walked down to the river to show our boys some of the sights, before thankfully catching the Tube back to Euston. 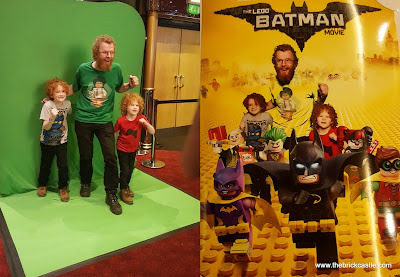 We paid for our day out in London ourselves, but we attended the LEGO Batman preview screening at Cineworld Empire, Leicester Square, as guests of Warner Bros.
Love the artists pictures and the wearing green for the green screen thing, I'm definitely doing that next time I get the opportunity!